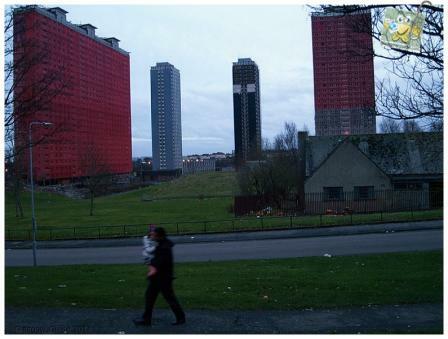 In possibly the most ill-thought-out decision ever made by Glasgow City Council, the remaining blocks of the Red Road flats are set to be demolished in a hugely-expensive publicity stunt to coincide with the opening ceremony of the Commonwealth Games on 23rd July this year. The penultimate act of a £15million demolition programme will see five of the remaining six blocks in the north-east of Glasgow brought down in just 15 seconds so that the spectacle can be broadcast to privileged games' spectators sitting comfortably at Celtic Park a few miles away. The synchronised demolition of the five 30-storey blocks will be relayed live to a 350-foot screen in the stadium in the east end of Glasgow. The expensive stunt will effectively mark the end of a failed social engineering experiment that condemned tens of thousands of Glaswegians to, as author William McIlvanney put it, "live lives bleaker than anyone should live – and die deaths bleaker than anyone should die". Average life expectancy of residents was tragically short. During the (in today's money) £100million construction programme to build the flats, 1000 'white mice' workmen – nicknamed because they went home pink-eyed and covered in white asbestos dust – laboured for the Labour council to build a towering disaster. In 1984, following a huge rise in death rates amongst the former Red Road workers, a local action group traced 180 of the workmen, of whom 60 were already dead just a dozen years after construction was completed. Of those 60 brave men, 87% had died from cancers associated with asbestos.  The average age of the men when they died was just 51 years old. Four of the blocks to be demolished. Only a block for asylum seekers will remain. "We are going to wow the world, with the demolition of the Red Road flats set to play a starring role. Red Road has an iconic place in Glasgow's history, having been home to thousands of families and dominating the city's skyline for decades. Their demolition will all but mark the end of high-rise living in the area and is symbolic of the changing face of Glasgow, not least in terms of our preparations for the Games." Congratulations Glasgow City Council - this has to be the dumbest idea I have ever heard. There are are three core values at the heart of the Commonwealth Games: Humanity, Equality and Destiny – what the blowing up the tallest slums in Europe has to do with these fine values is completely beyond me. Glasgow 2014, Glasgow City Council and GHA should be embarrassed. As a city resident for 40 years from birth, this is the craziest idea yet! Has anyone in that shambles of a Council forgotten these flats became notorious for their poor design, deprivation and high crime? Senior City Council Director says it will be "fun and their centre piece". OMG! How do we put a stop to this idiotic idea? Glasgow continues to entertain and the clowns are in the centre ring of the big top. The events is characterized by the venue City Chambers. A new low for Glasgow city council. The area was ignored for decades now its to go out in a blaze of glory for the world to see how good it all is/was. THIS EVENT SHOULD NEVER HAVE BEEN CONSIDERED AND MUST BE STOPPED NOW! I'm trying to figure out where they think all that asbestos is going to go if they implode! Oh, wait, into the air for those miles around to breathe it in. What an asshat idea! C'mon folks! !......What's the story on these people that run Glasgow.....are these people voted in by the people of Glasgow??? ?.....are the common folks of the city allowed in that big palace in George Square or are the doors padlocked.....I can't fathom the thinking of this and many other councils of the past that determine the **FATE** of this city! !...why do they get away with this!!! Words fail me just now, and that does not happen very often, as y'all know but Martin can you give us any more info. on this? I will call the relies at first light their time to get their input but this is an unacceptable occurrence . Well though I no longer live in Glasgow,but being Glasgow born and raised,I still consider it home. showcase this to no doubt the world. The whole Council should be fired. I did volunteer to be a helper at the CG, but work commitments, and the fact that all the CG people wanted me to do was taxi people to and fro from Glasgow airport ... for two weeks! stopped me being part of this celebration. When I hear about this stunt, I am now relieved I have no connection with the games. I wonder when the Glasgow City Fathers will realise that this is a bad, bad idea? Only when the news coverage pillories the town yet again? Then these city fathers will slither under the nearest stone to sit out the bad publicity fallout. Foresight and imagination is something these buffoons simply don't have. America was blowing up these flats in the 60's as a failed social experiment when Glasgow stated building them in their failed "Scheme" mentality with low amenities. Glasgow would just not listen to the opposition. They had to be built with enough space apart to allow light and they became wind tunnels gathering litter. They were doomed to failure because of their single class mentality, ending up in a poor, benefits, drug problems ghetto. When they blew up their mushroom factory flats in the notorious Glasgow Hutchie E they also managed to blow up some of the spectators. They were told by the builders that the flats were designed for the Mediterranean and not a wet northern climate and insisted on going ahead without air conditioning, etc, anyway. 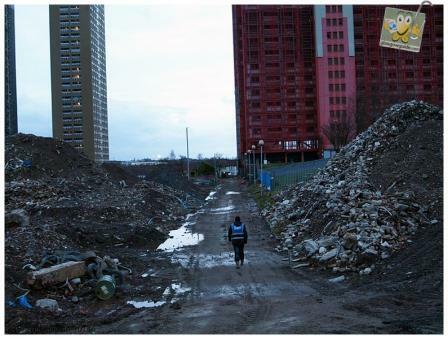 Red Road, like Sighthill flats, is to be used as a dumping ground for asylum seekers, which shows what they think of them anyway. The opening of the Games should be a triumphal experience and not what is planned - its like going back to the days of the tramcars 50 years ago rather than looking forward to the further development of the modernity of the east end of the city. Even here in South Africa when we got the world cup we did not stoop that low. Only because the ANC government couldn't figure out how to steal money from it. If as has been said in earlier posts asbestos is in the fabric of the flats I am sure it would be illegal to bring them down in this fashion and so could be stopped very simply by the threat of legal action against the council proposing this fiasco. [...] Leckie’s petition, however, claims that “there will not be universal joy as [the flats] come down” and that “the image of tower blocks coming down is not a positive international spectacle”. The petition does not suggest that the flats continue standing, but that GHA should not “[contradict] previous policy of not making a spectacle of the demolition of high-rise flats”. On Twitter, Leckie – a socialist who sat in the Scottish Parliament between 2003 and 2007 – said she wanted “to ensure Red Road is demolished with dignity, not as entertainment”, and questioned whether there had been any consultation with residents and ex-residents. She also posed questions about the demolition’s impact on asylum seekers in the last flat, suggesting that it would convey “that the flats are an eyesore, unfit for ‘human’ habitation and that ‘human’ doesn’t include them”. Update: Please sign the online petition here to have this stopped.